Iowa is the leading producer of corn in the USA. 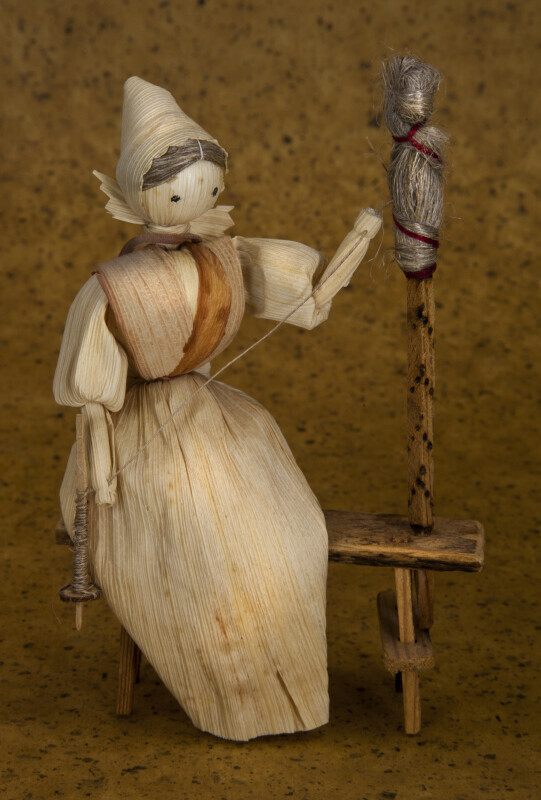 This female doll is handcrafted from light and dark corn husks that have been soaked in warm water. The husks are then formed into the figure's body, arms, head, dress and scarf. She is sitting on a bench, and one hand is holding a hand spindle for spinning wool into yarn. The bench is made from wood. The figure stands 6 inches (16 cm) tall.